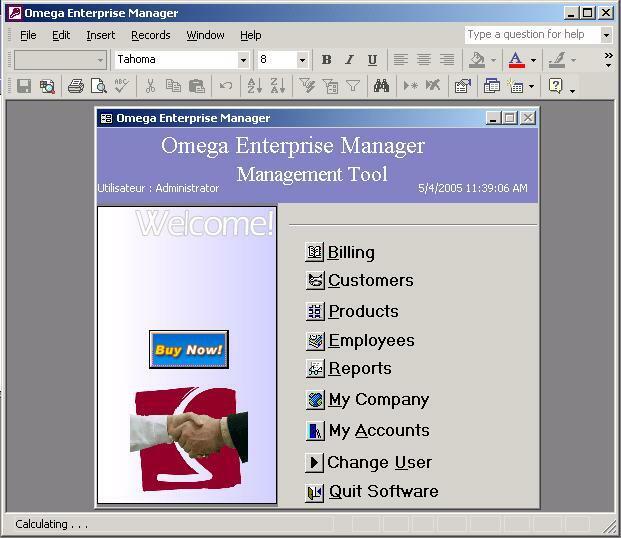 Omega Enterprise Manager allows you to keep track of suppliers and employees, accounts and customers, your inventory and so much more. Omega Enterprise Manager allows you to keep track of suppliers and employees, accounts and customers, your inventory and so much more. And, you won’t need to go elsewhere to produce professional-quality, readable, meaningful reports : Sales summaries, profit margins, employee schedules, orders, cost summaries and more. 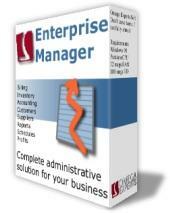 It’s all available at the click of a mouse, from one indispensable application: Omega Enterprise Manager. This business administration software will provide all the management tools necessary for your small business: your money, supplies, payroll, bills funds, clients, cash, invoices, revenues, inventory and financial reports and customer relationship management ( CRM ) will be in safe hands. This software differs from Quicken, Microsoft Money and ACT. We have a better corporate workplace in mind for you. Please allow 48 hours for support requests to be answered. The support files are copyrighted by Microsoft and are distributed with license by Omega Informatix. This business administration software will provide all the management tools necessary for your small business; your money, supplies, payroll, funds, clients, cash, invoices, revenue, inventory and financial reports will be in safe hands. This software differs from Quicken, Microsoft Money and ACT. We have a better corporate workplace in mind for you.